All the colours and options from our colour glass but with an easy to clean, flat, frosted surface to take the sheen away. The flattest of flat walls. We offer a limitless range of colours in our matte glass splashbacks. Black, grey, charcoal and white are popular colours when it comes to matte glass splashbacks. Its even cool to play it a little safe with these as they are a new feature and will still draw the eye in any case. Your choice of cabinets, benchtops and vanities will naturally steer you in the direction of some colours over others. It is easy with matte splashbacks to stay fairly neautral and go with soft, similar or complementary shades in both light and darker kitchens and bathrooms. This still provides a bit of a feature. Brighter matte colours can have lots of wow factor and look great in white kitchens. We have a handful of matte colour samples from our own range already painted to glass and available to browse or collect from our showroom. 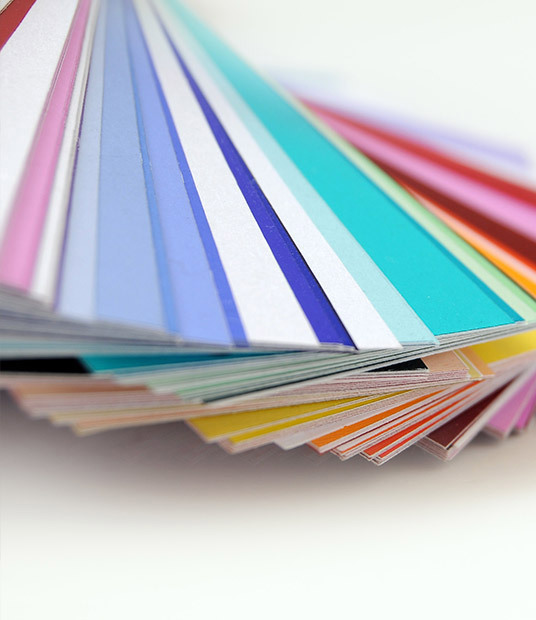 We suggest selecting from Resene or Dulux ranges for custom colours. Lighting in the room plays a critical part in colour selection. A dark kitchen or bathroom may not suit a dark metallic or black as it will close the space in so in small kitchens and bathrooms we suggest a light colour. Feature LEDS and spot lighting can gently illuminate frosted glass giving a diffused lighting effect, so keep lighting in mind (even at night) when making your selection. We use ultra clear toughened etchlite for our splashbacks so can match most standard solid colours you bring in to us. We can make up colour samples on request and provide this service for free (for confirmation) if we are doing the job.